All Units should have their recharter packets and be working on the renewal process. 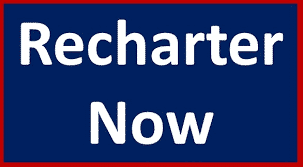 Information on charter renewal can be found using the button below. Charters can be turned in to Unit Commissioners at the November 1st Roundtable or later by contacting them. Units that are striving for JTE levels Platinum and Gold must have defect free charters submitted by November 30, 2018 and levels Silver and Bronze by December 15, 2018. Questions on the Annual Recharter process can be directed to your Unit Commissioner or the District Commissioner.